Guest Post by Yael Nir. YAEL NIR is an art historian, cultural researcher and founder of Alternative Tel Aviv that provides exclusive guided tours for those interested in art, society and the environment we live in. ‏Haifa is a multi-cultural city of social involvement with strong community ties. 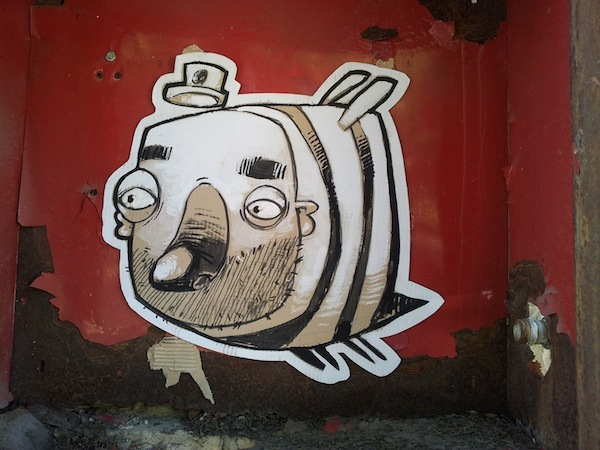 In the early 2000s, groups like “Pyramida” and “Block – Art in the Street” emerged in Haifa and did art in the streets that deals with the urban features of the city. Block group were the ones who started those very important processes that are present in Haifa until today – those of high quality and very developed urban art and art projects, a great involvement of artists in the community life and an emphasis on bi-nationality. 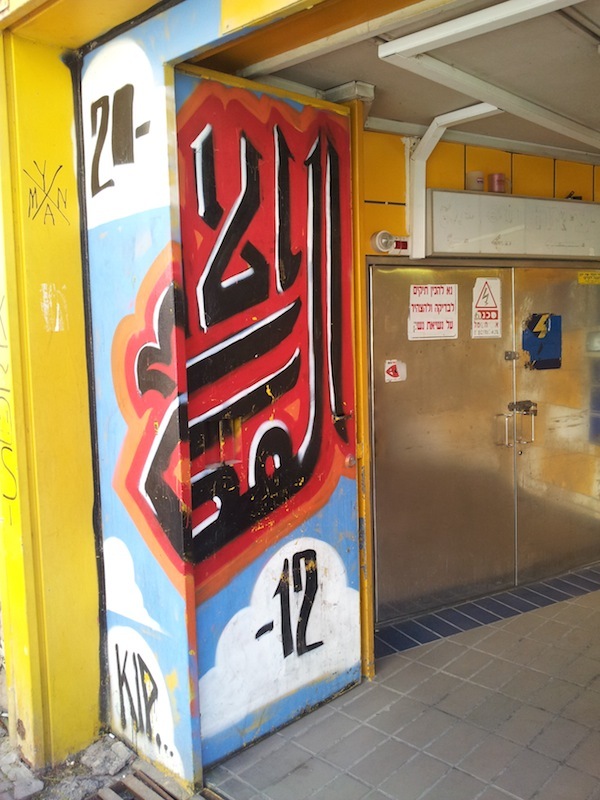 For example, different texts in Haifa’s urban landscape are usually written in Arabic as well as Hebrew and English. That is true also regarding texts that compose the vibrant, diversified, complex and very interesting urban art scene in Haifa where whole graffiti pieces, tags, street poems and other types of texts in street art pieces can often be found in Arabic. ‏Broken Fingaz, 2012, Massada carmelit train station, Haifa. Photo by Yael Nir. 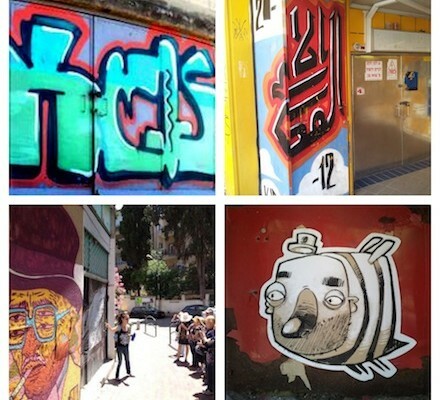 Haifa is Israel’s “street art Florence” in a way. 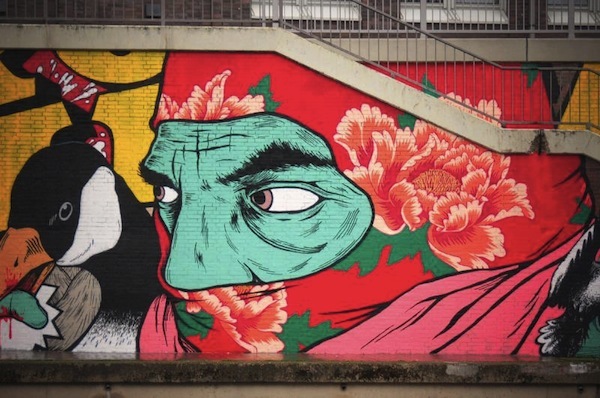 It populates several artistic geniuses such as the very recognized Broken Fingaz crew, individual artists like Keos, Crash, Tipa Graphic and many others that are living and working in the same place at the same time, making enormous artistic and cultural contributions, much like the renaissance artists in 16th century Florence in Italy. During the past few years, Haifa also became an important center for original Israeli Hip Hop and Rap music. Keos & Crash, Haifa. Photo by Yael Nir. Tipa Graphic, Haifa, 2014. Photo by Yael Nir. 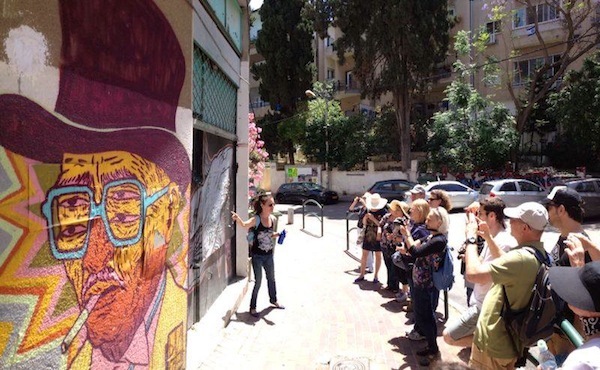 ‏An ideal way to get to know Haifa’s cultural and artistic DNA, is through an Alternative Tel Aviv graffiti and street art tour in Haifa which focuses on the leading artists, graffiti writers and crews that compose the unique urban art scene in the city. We invite you to join our tours which deal with independent and free art in the streets of Haifa, and are finished by visits to “Machsan” (= Wear house in Hebrew) and “Mirpeset” (=Balcony) which are two very important cultural establishments in the fields of music, fashion and urban visual arts. ‏Alternative Tel Aviv’s Haifa tour, 2014. Photo by Maya Winterstein. Pieces by Unga and Tant, BFC crew.